Based in Dassel, MN, Tom started creating glass projects in 1975. He finds intrigue and wonder in the vast array of glass colors and textures and how all these factors play a major role in the design and creation of a project. Tom’s early inspiration was from the work of Louis Comfort Tiffany. He has created many Tiffany style replica lamps and considers himself a student of the Tiffany design attributes; studying many of his best window designs in great detail. 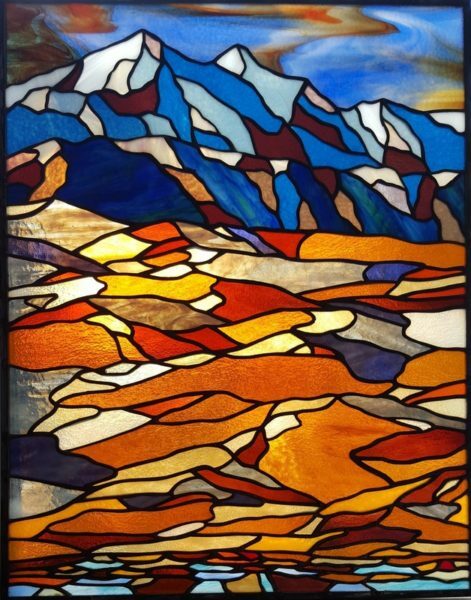 Tom believes that characteristics like plating multiple layers of glass and abstract coloring add a great amount dimension to a window. Studying the contrast of light and dark shading, Tom finds design ideas in the most unusual places and enjoys turning those inspirations into stained glass windows. Tom is inspired by the way light can strike an object or nature scene in just the right way and strives to capture that look in his glass.